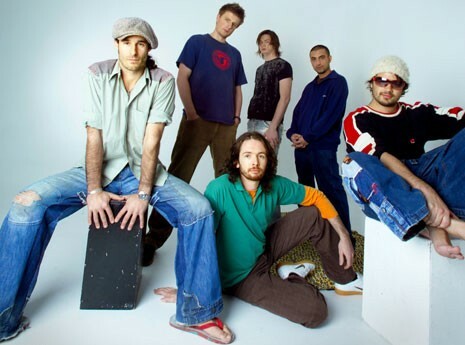 The Cat Empire are an Australian ska and jazz band formed in 1999. Core members are Harry James Angus (trumpet and vocals), Will Hull-Brown (drums), Jamshid "Jumps" Khadiwhala (decks, percussion), Ollie McGill (keyboard and backing vocals), Ryan Monro (bass and backing vocals) and Felix Riebl (percussion and vocals). They are often supplemented by The Empire Horns (a brass duo) and have recurring guest musicians. Their sound is a fusion of jazz, ska, funk and rock with heavy Latin influences. The Cat Empire have toured Australia, the United States, Canada and Europe and have released five studio albums. The first two, The Cat Empire (2003) and Two Shoes (2005), both achieved double platinum certification. Two Shoes had debuted at number-one on the ARIA Album Charts. Their third album, Cities (2006), won an ARIA Music Award for 'Best World Album'. So Many Nights, was released in 2007 and reached number two, and a fifth album, Cinema, was issued in 2010 and peaked at number three. Their song, "Sly", appeared on EA Sports' FIFA 08 soundtrack.